!!!! - - HOT Dates - - !!!! All tours all ongoing all year round . We also work towards accommodating corporate, social and school groups and independent travelers on dates that suits them. Tours and packages can be tailor made and adjusted. See our list of tours and also additional information on the 4WD page. There are a few trips that are looming ahead and looking for others to join. Just drop a line direct to see if your dates are open. * - Special interest for all of you flying in / Ask about our Adventurers Accommodation & Tour packages - Lux and Standard. ** - Individuals looking for others to join with them to make up numbers. Ongoing -Kampong Khleng remote Fishing Community & Rolous temples. A commercial fishing community deep in the Tonle Sap Lake - truly the Hidden Cambodia. Few other tourists. 8.00 am depart: Travel by road about 35 kms southeast and stop off at rural market to see the fresh morning catch and stunning array of fresh fish. Ever wonder what a real Cambodia market is like, this is your chance! Travel by road about 35 kms southeast and turn on to a road that leads to the edge of the lake. Board a motorboat to Kampong Khleang, meaning the village of the stilts, a lively commercial fishing village located south on the edge of the Tonle Sap lake. All houses are stilted and some are up to four & five meters tall. Enter the stilted village, now flooded and travel through this large town through to a more separate Vietnamese village on to the edge of the Tonle Sap. Price person is incisive of: Transport to & from by road and boat, Hidden Cambodia Guide, experienced driver, lunch, chilled water and cold box transported on boat, all entry costs Gust must have Rolous pass . Ongoing - Countrywide, Siem Reap, Phnom Penh , Costal and Batttembong Tours , Angkor Wat tour daily with Ministry of Tourism Guides, taxis, minibuses, busses (15, 25, 35 and 55 seater buses), hotel airport transfers. Tours to Kulen Mountain and National Park, an ancient holy mountain located 60 kms away and an hour’s travel by car outside of Siem Reap. Guest can be delivered to the top or trek for hours all over it !! Including 4WD air-conditioned Monterro vehicle, all transport costs, entry into Kulen mountain , lunch in a restuarnt there or with our own cooks sent from our kitchens , light beverages, road payments, levies, entry in Kulen National Park and other non ticketed stops, English speaking Hidden Cambodia Guide, local guides and attaches. 3 days, 2 nights, 4WD ( trekking cycling) Adventure tour. Trek up the rear of Kulen Mountain , an ancient holy mountain where Angkor began and follow on to camp overnight the shade of Beng Meela Temple. Day 2 onwards to Koh Ker temple for cycling and exploring this 10th Century temple complex. Overnight in Hidden Cambodia's Eco lodge in Koh Ker Village. Return to Siem Reap on day 3 with small stops in villages and attraction along the way. Separate tent and private room in lodge. Jan 5 -12, 17 - 8 day program including 2 days Angkor Wat with guide, entrance pass , lunches , transport and 3* hotel accommodation, a three day adventure trip starting with a trek to Kulen Mountain, camping in Beng Meela, day 2 on to Koh Ker temple and overnight and Koh Ker Lodge, day 3 back to Beng Meela and Siem reap, all inclusive of food, guide entry fees and transport , one day lake trip and overnight in Siem reap, onwards travel and tour to Battembong with accommodation, last day tour to Phnom Penh and tour end. Group travel. Cost: From $900 per person. 3 days, 3 night package Dirt Bike- At least 3 provinces, 2 amazing temple complexes, 3 provincial capitals, 2 mountains, a all hotel & guesthouse accommodation and great food. You just have to think about the bike! 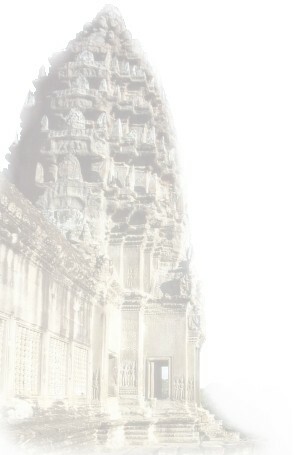 Cost: $00 per person Package for hotel and Angkor tours separate. More riders look for this dates of mid experience. $705 includes a 3 nights hotel accommodation in Siem Reap with a day in Angkor with taxi, guide, lunch plus dirt bike trip . Angkor pass extra. Mar 8 , 13 3 days, 3 night package Dirt Bike - At least 3 provinces, 2 amazing temple complexes, 3 provincial capitals, 2 mountains, a all hotel & guesthouse accommodation and great food. You just have to think about the bike! Cost: $00 per person Package for hotel and Angkor tours separate. More riders look for this dates of mid experience. $705 includes a 3 nights hotel accommodation in Siem Reap with a day in Angkor with taxi, guide, lunch plus dirt bike trip . Angkor pass extra. Dec 28 15 4 days - 3 night package Dirt Bike- The five province circle, our most popular tour. 3 provinces, 2 amazing temple complexes, 3 provincial capitals, 2 mountains, an old KR stronghold, all hotel & guesthouse accommodation and great food. You just have to think about the bike! Cost: $165.00 per person per day. Cost: $660.00 per person Package for hotel and Angkor tours separate. Jan 19, 14 - 4 days, 3 night package Dirt Bike- The five province circle, our most popular tour. 3 provinces, 2 amazing temple complexes, 3 provincial capitals, 2 mountains, an old KR stronghold, all hotel & guesthouse accommodation and great food. You just have to think about the bike! Cost: $165.00 per person per day. Cost: $660.00 per person Package for hotel and Angkor tours separate. April 1, 14 - 8 day dirt bike tour for experienced Riders. top speed, long distances, great riding. June 7, 14. 3 day, 2 night package Dirt Bike- At least 3 provinces, 2 amazing temple complexes, 3 provincial capitals, 2 mountains, a all hotel & guesthouse accommodation and great food. You just have to think about the bike! Cost: $465 per person Package for hotel and Angkor tours separate. More riders look for this dates of mid experience. $705 includes a 3 nights hotel accommodation in Siem Reap with a day in Angkor with taxi, guide, lunch plus dirt bike trip . Angkor pass extra. Sept 10, 10. 3 day, 2 night package Dirt Bike- At least 3 provinces, 2 amazing temple complexes, 3 provincial capitals, 2 mountains, a all hotel & guesthouse accommodation and great food. You just have to think about the bike! Cost: $465 per person Package for hotel and Angkor tours separate. More riders look for this dates of mid experience. $705 includes a 3 nights hotel accommodation in Siem Reap with a day in Angkor with taxi, guide, lunch plus dirt bike trip . Angkor pass extra. Nov 28-30, 10 - 3 days, 3 night package Dirt Bike- At least 3 provinces, 2 amazing temple complexes, 3 provincial capitals, 2 mountains, a all hotel & guesthouse accommodation and great food. You just have to think about the bike! Cost: $00 per person Package for hotel and Angkor tours separate. More riders look for this dates of mid experience. $705 includes a 3 nights hotel accommodation in Siem Reap with a day in Angkor with taxi, guide, lunch plus dirt bike trip . Angkor pass extra. Dec 5 & 6, 14 - Angkor Wat International Half Marathon - exercised in providing transfers, accommodation, pre and post marathons tours that are activity based for marathon runner groups.